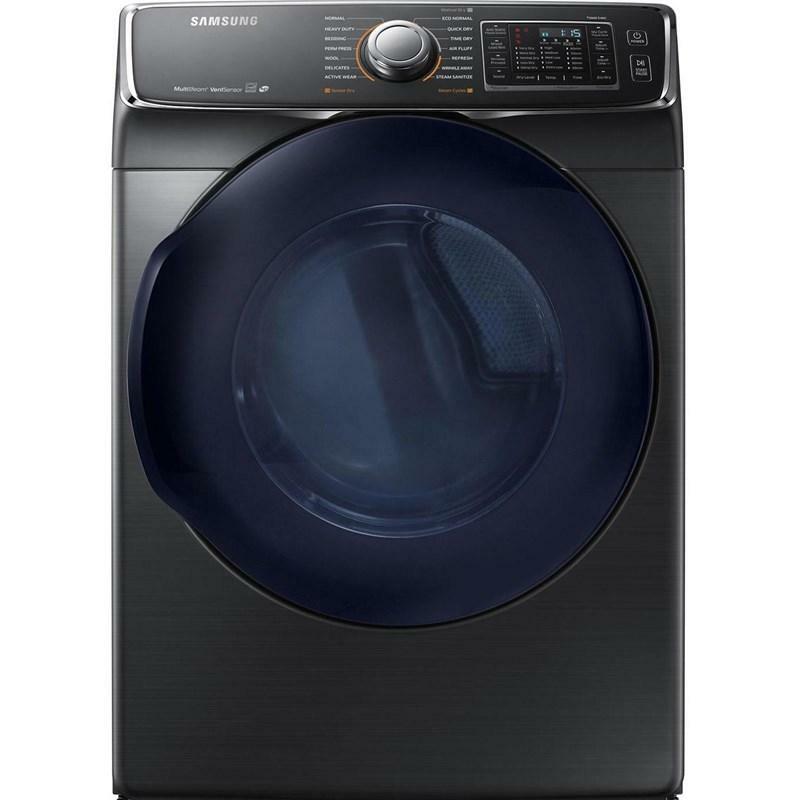 This Samsung FlexWash™ washer provides the ultimate washing flexibility, with two separately controlled washers in the same unit, so you can wash different types of laundry at the same time. 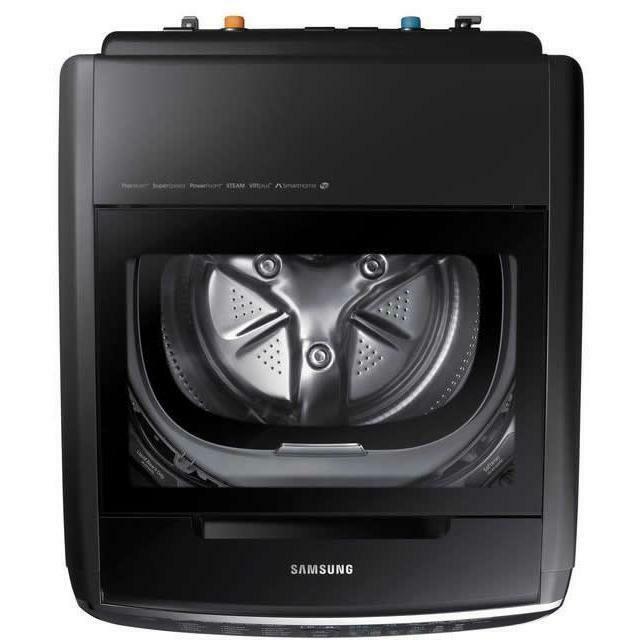 Advanced features like Super Speed technology lets you power through laundry day faster without sacrificing cleaning performance, while Steam Wash removes stains without the need to pre-treat. Save time treating stains by skipping any pre-treatments and using steam instead. Steam Wash powers out stubborn stains, such as grape juice and grease; helping clothes last longer. 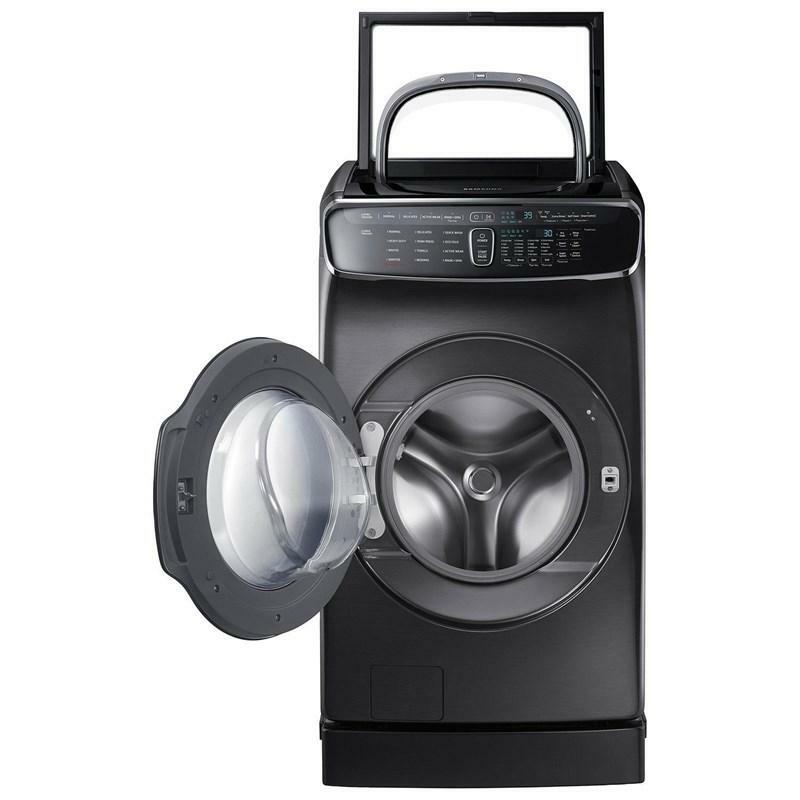 PowerFoam™ technology gets even large loads of laundry thoroughly clean – while going easy on delicate items. 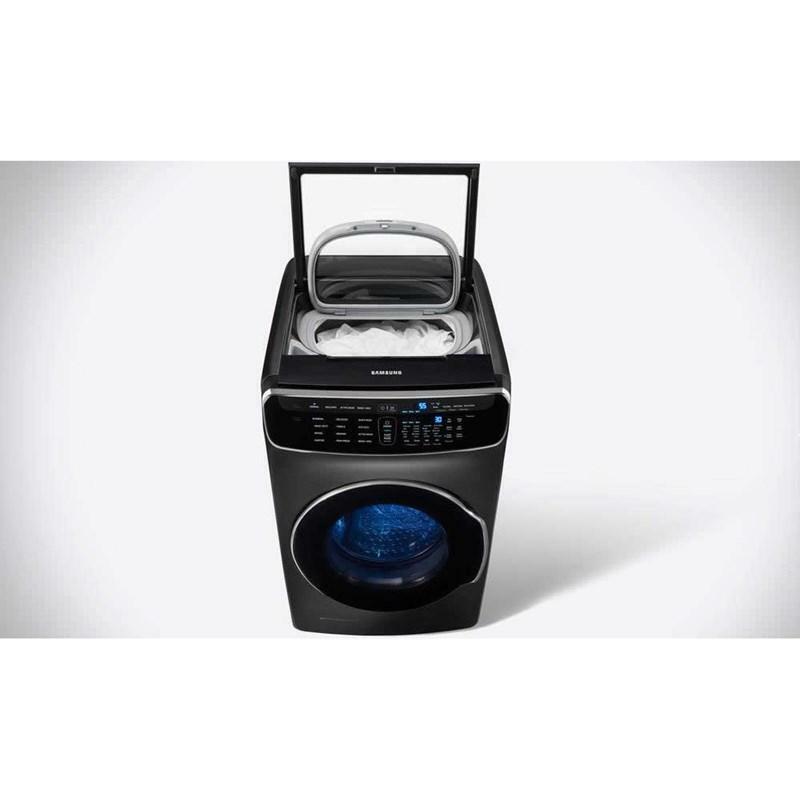 By mixing your detergent with air and water it fills every inch of the drum with a thick foam that penetrates fabrics more quickly and deeply than the usual water-and-soap mix. 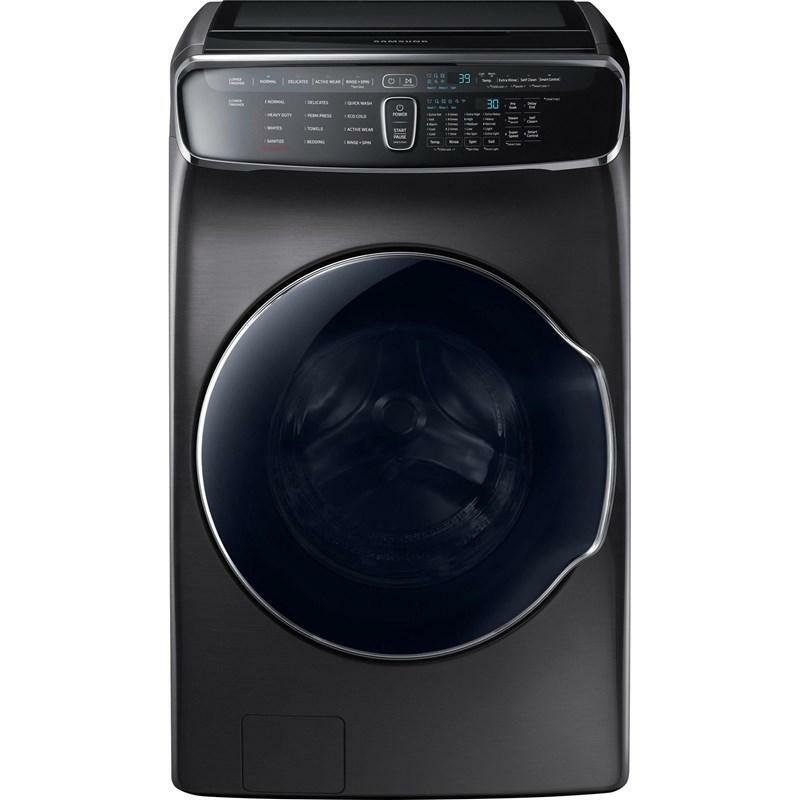 So even without pre-soaking or extra cycles your clothes will come out cleaner than ever before. VRT Plus™ technology reduces noise and vibration during washes. Two rings of spinning stainless steel ball bearings keep the drum perfectly balanced, while the 3 Dimensional Vibration Sensor of the VRT Plus™ detects and minimizes vibration even in high spin speeds. So you can do your laundry anywhere and anytime with less risk of disturbing anyone. 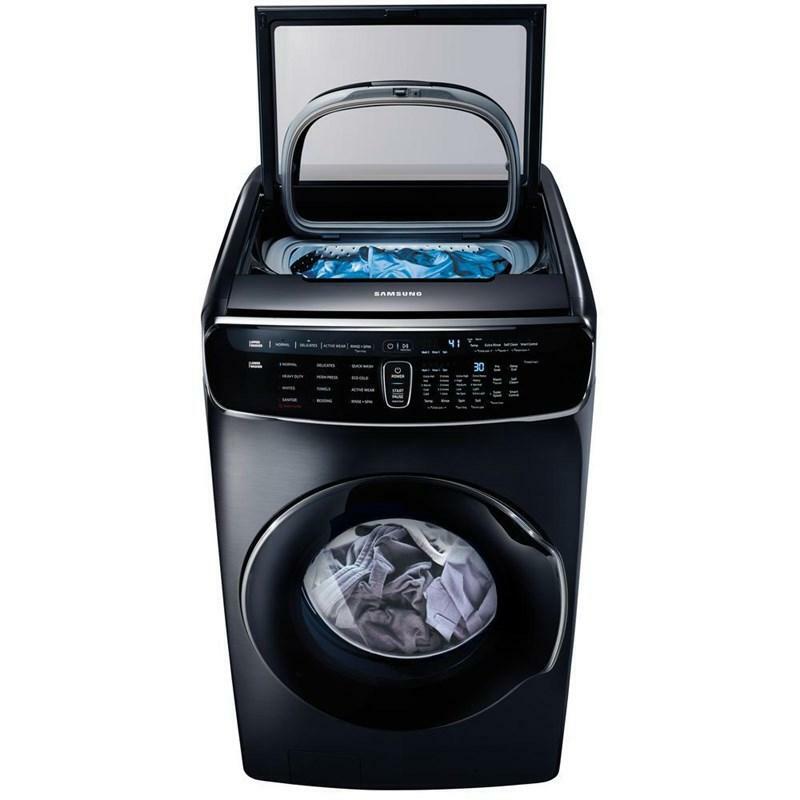 Keeps your laundry drum fresh and odor-free without the use of harsh chemicals – through a combination of soaking, pulsating and high speed spinning. Self Clean also sends reminders to clean the drum every forty wash cycles. The Smart Care automatic error-monitoring system detects and diagnoses problems and provides easy troubleshooting solutions through the LED screen or using a smartphone App*. So it saves you time and potentially expensive repair bills. * Available on Android and iOS devices. Total Capacity IEC 6.9 cu. ft. / 0.20 cu. m.
Main Tub DOE 5.0 cu. ft. / 0.14 cu. m.
Main Tub IEC 5.8 cu. ft. / 0.16 cu. m.
Secondary Tub DOE 1.0 cu. ft. / 0.03 cu. m.
Secondary Tub IEC 1.1 cu. ft. / 0.03 cu. 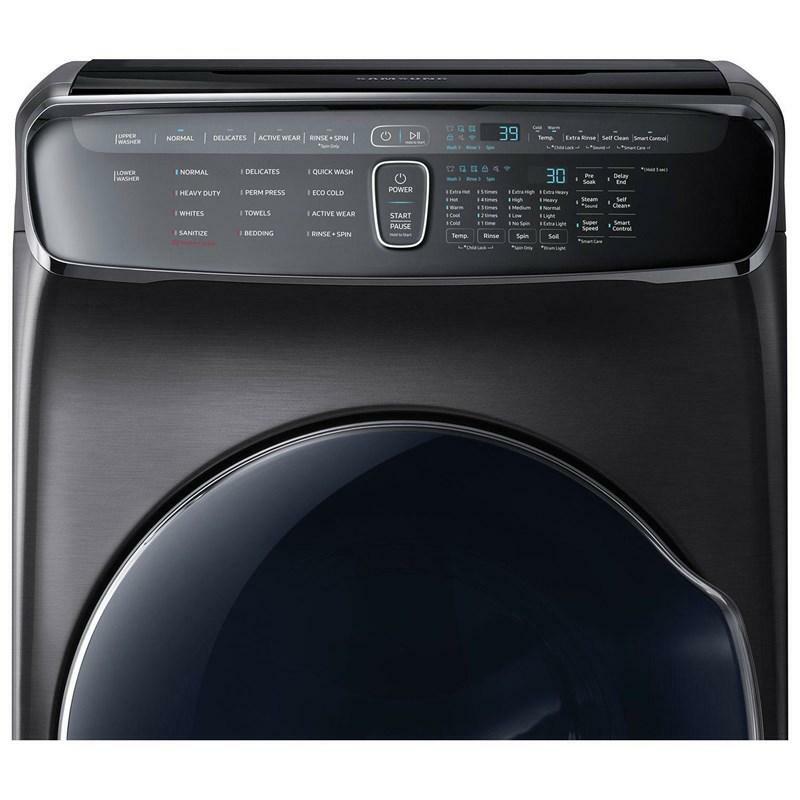 m.
Class Width 26" - 27"
Additional Dimensions • Height with top load lid open: 61"
• Depth with front load lid open 90 degrees: 54 9/16"
*While we place great care into preparing product descriptions and prices, sometimes technical and typographical errors or omissions may occur. Voth's BrandSource Home Furnishings cannot be held responsible for such errors and we apologize for any inconvenience this may cause.